Dining tables are the central interaction of furniture in your home because it catches the attention of everyone who visits your dining room. They are considered as a substantial piece of furniture as they don’t come cheap. Buying the right dining table for your dining room is not as easy as it seems. Some people are not aware of the elements that they should consider while buying a dining table for their dining room. 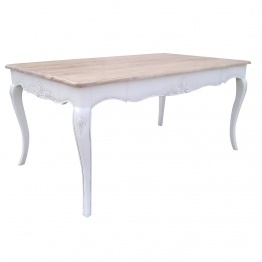 As we know, there is a large variety of dining tables available in the market. Its design, shape, texture and material keeps on changing with respect to time. 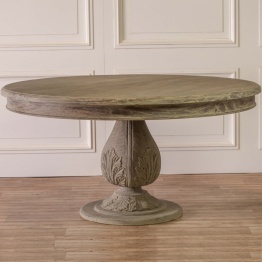 This style is a very rough rustic table finish with uneven surfaces and showing the really natural natural of the wood built purposely to give an old authentic look. 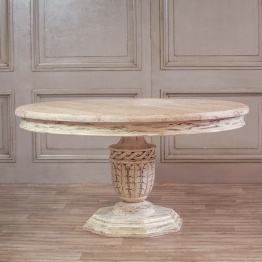 A pedestal table is design with singular central support for the table usually with interesting carvings and designs to the support of the table. They are conveniently designed so that dining chairs can comfortably fit under the table. Reclaimed tables. The title speaks for itself! These tables have wood sourced from old ships to very old doors. The wood they are made from can be century's old. 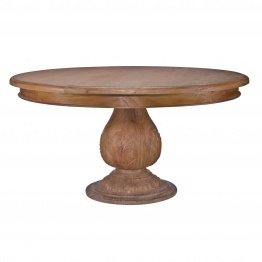 A very country feel with natural woods used farm house tables are usually found with a more lighter colours of wood with a calm simple and classical dining table finish. 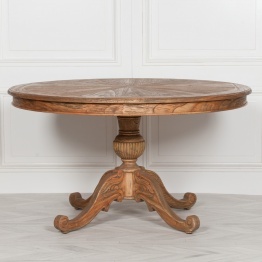 Designer Dining tables have evolved so much within last few decades. As it is an essential for a family household. A good dining table serves you for a large number of years. 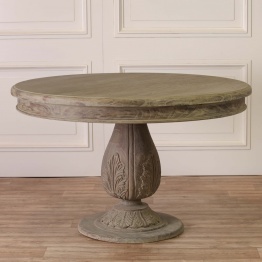 So, while investing in your dining table, make sure that what kind of dining table you want in your home. If you are thinking about the colour and texture of the dining table, then must choose one that matches with the dining room theme. 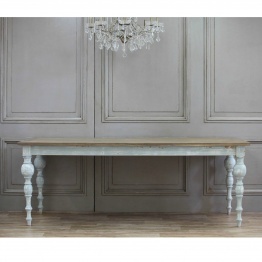 Being a larger piece in your dining room, it will make an imposing impression on your guests. Decide in your mind that how much you can invest for your dining table and what kind of qualities or shape it should have. After, deciding all these factors, choose the perfect design of dining table for your dining room. Most of the dining rooms have a rectangular shape, so rectangular dining tables are the most common of all. They provide much flexibility for people because it comes with leaves that extend the length. Rectangular tables have the benefit that they can be accommodated into small spaces also without even dominating your dining room and leaving space for other stuff too. The linear and simple shape of a dining table can handle a large number of guest thus making the movement easy around the table. 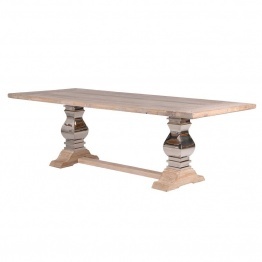 Square Dining Tables are the ideal choice for small homes where a dining table is used for a multi-functional purpose. They can be easily pushed into the corner of the room when not required. 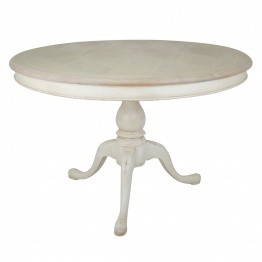 For a small household or a family of two to four people, these tables are perfect. 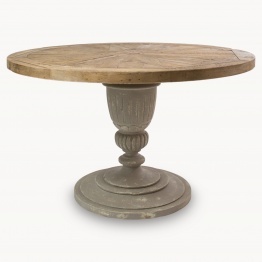 Square tables create a sense of balance and symmetry in your dining room. 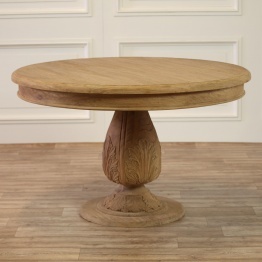 If you are confused between the rectangular and square shape of the dining table, go for the oval shape. 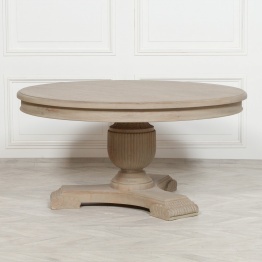 Oval table combines the flexibility of square dining table with the linear layout of rectangular one. Its round edges soften the scheme and incorporate curves into space. 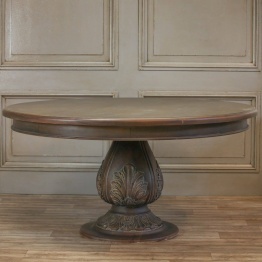 This design of dining table is versatile of all because it goes with any size or shape of your dining room. 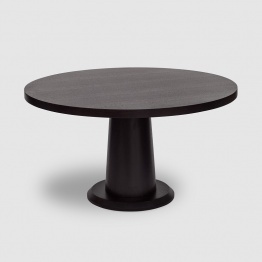 These tables fit themselves perfectly everywhere and make clever use of the space. They provide a sense of intimacy encouraging the people sitting on the table to have a lively chat.